If asked to explain the Christian message in a few short sentences, what would you say? 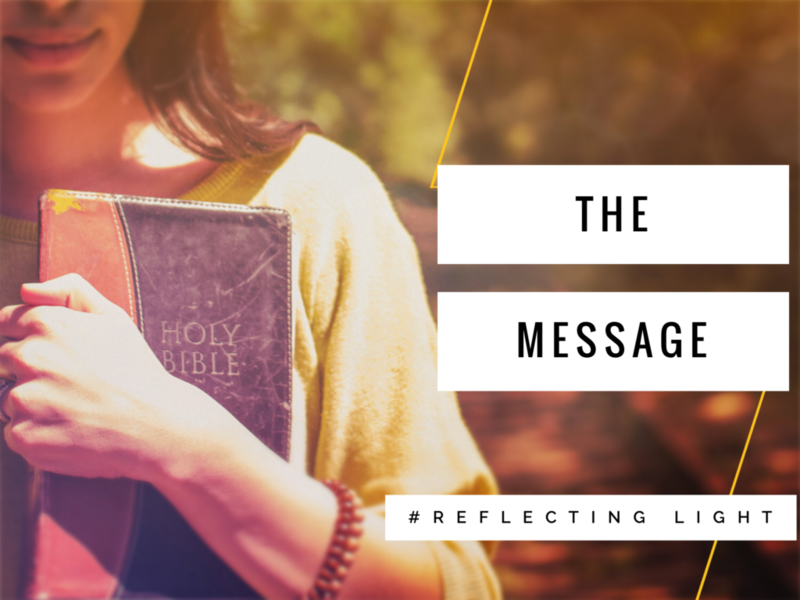 Eugene Peterson changed the world with his translation of the Bible called The Message. His easy-to-read, everyday life version has made God’s Word come alive in a new and fresh way for many readers and his legacy continues to touch the lives of many. God loves you. God is on your side. He is coming after you. He is relentless. How beautiful is that? These words touched my heart so much that I wrote them down with a note to self to repeat these words to my children often. God loves you, Addie. God is on your side, Ella. He is coming after you. He is relentless. But it’s not just my children that need to be reminded of these truths. It’s my own soul that needs them as well, and I bet yours does too. So, I speak them over you today and pray that it seeps deep into your spirit. God loves you with an everlasting love. He has not forgotten you, He is right by your side. He is coming after you and wants you to feel pursued. He will not stop until you feel His goodness and unfailing love surround you. Believe it, my dear friend. What truth! Thank you April. Our HSV group so enjoyed your message this weekend! I loved talking to you about my upcoming Holy Land trip! I can’t wait to hear all about it! It is truly the Beautiful Land. I enjoyed being with y’all too! Many blessings.